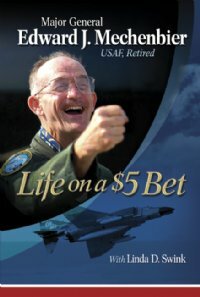 "Life on a $5 Bet"
Comments: Excellent readwritten in a style that when reading you won't want to put it down. General Mechenbier delivers a great message about perservance and life while informing people of what the POWs survived and a career in the Air Force. Comments: An awe-inspiring story of a real hero! !